Space presents Laura Vandervoort and the cast of new original series BITTEN through panel and autograph signings at Fan Expo Canada, Sunday, August 25. TORONTO (August 14, 2013) – Attention cosplayers, gamers, and lovers of all things pop culture! Canada’s largest genre convention, Fan Expo Canada, returns to Toronto from August 22-25 and Space and its flagship series INNERSPACE will be on the scene for every epic moment. 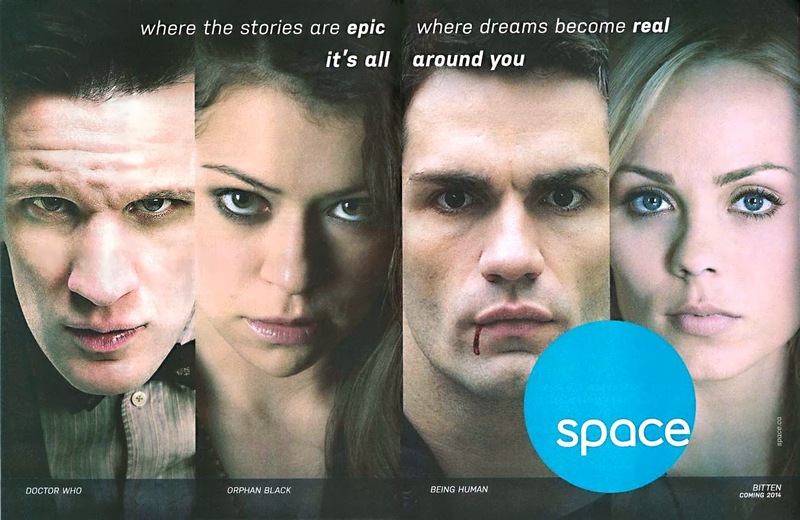 Adding to this year’s Fan Expo buzz, Space is delivering a stellar list of its own talent to appear on some of the convention’s biggest panels including cast members from ORPHAN BLACK, BEING HUMAN, and upcoming Space Original Series BITTEN. Covering more ground than ever before, Space is making its mark on the Fan Expo floor with its biggest booth yet. Fans are encouraged to visit the Space booth (#1138) for autograph sessions with the stars of ORPHAN BLACK and BITTEN, the latest info on Space programming, and daily giveaways. A full re-cap of Fan Expo airs all week long on INNERSPACE daily at 6 p.m. and 11 p.m. ET beginning Monday, Aug. 26. Hosted by INNERSPACE, Space is giving fans a taste of its exciting, upcoming original series BITTEN with a star-studded panel including Laura Vandervoort, Greg Bryk, Greyston Holt and Steve Lund, Sunday, Aug. 25 at 11 a.m. ET in room #701A. BITTEN is set to premiere early 2014 on Space. Space Official Web Site: LINK. To read Full Article: LINK. Other info about Laura and the cast of Bitten at this Event: LINK.